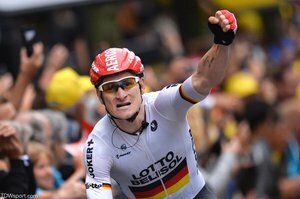 Trek Factory Racing: The last mountain stage of this year’s Tour de France included the two iconic climbs of Tourmalet and Hautacam, and was the penultimate opportunity ahead of the 54-kilometer time trial Saturday to sort out the final standings. Haimar Zubeldia and Fränk Schleck spent much of the 18th stage in the select yellow jersey group before everything detonated on the Hautacam. With an untouchable Nibali up the road the battle for the last two podium steps raged, and the attacks quickly sorted out two key units: Thibault Pinot (FDJ) and Jean-Christophe Peraud (AG2R) together in a group of four, with Alejandro Valverde (Movistar) towing five others - including Haimar - just behind. 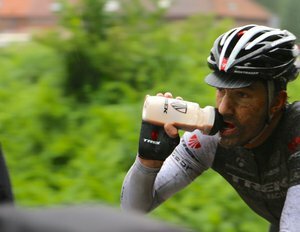 Haimar finished just ahead of Valverde for ninth place on the stage, and leapt into 10th place overall. 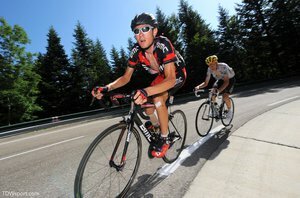 After all the grueling uphills of this year’s Tour the last mountain was the perfect ending for Trek Factory Racing: Haimar reached the team’s goal of finishing within the top 10 GC.